Eating while Black: Food Shaming and Food Policing in Black Communities is centrally concerned with how the current changing food world affects and is affected by African American people. While my primary focus is African American people, immigration by those who are defined as black in U.S. contexts also will have some space here. The discussion is designed to push conversations rather than provide answers and it seeks to capitalize on a complex subject that is often made to be too simple by soundbites, the “everydayness” of food, and the popularity of reality t.v. which allows everyone to see themselves as an expert. Eating while Black concerns itself with the ways in which food shaming (whether through the lens of class, race, gender, region, etc) is used as a mechanism of control; a phenomenon experienced not only by Black communities. But, I center black bodies as a case study because our relationships to food are, and historically have been, vexed, maligned, and rooted in continued misinformation. Psyche Williams-Forson is an Associate Professor and Chair of the Department of American Studies at the University of Maryland College Park. She is an affiliate faculty member of the Women’s Studies, Anthropology, and African American Studies departments as well as the Consortium on Race, Gender, and Ethnicity. Her research and teaching interests include cultural studies, material culture, food, women’s studies, social and cultural history of the U.S. in the late 19th and 20th centuries. 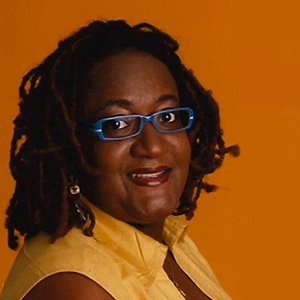 Her work on material culture and food has been published in her books Taking Food Public: Redefining Foodways in a Changing World and the award-winning (American Folklore Society) Building Houses Out of Chicken Legs: Black Women, Food, & Power. She is currently at work on a manuscript titled: Eating While Black: Food Shaming and Food Policing in Black Communities.